What Can You Recover in an Injury Case? (Video below): Dallas, Texas - Robbery suspect fleeing from the police crashes into cars stopped at an intersection. Two of the victims grab the suspect and throw him to the ground while the police arrive. Unfortunately, this guy's liability insurance will not pay for the damage he caused . . . Liability coverage on automobile insurance does not pay for criminal acts. Hopefully, those hit by this guy had uninsured motorist insurance on their vehicles. Its estimated that about 15% of those driving in Texas have no insurance. The number is even higher when you add in those who violate the terms of their insurance and then cause a collision (like this guy here). Make sure you have uninsured motorist coverage on your policy. You may need it, and will be happy if you have it, and upset if you do not. Unfortunately, these videos do not show the aftermath. The victims here will not be able to use the auto insurance of the other driver or the other vehicle. Liability insurance does not cover unauthorized use of a motor vehicle, "intentional acts", or criminal activity. You need to use your "uninsured motorist coverage" in this type of case. In addition to car theft cases, there are a multitude of reasons a driver might be uninsured - forgot to pay their premium, road rage intentional acts, purchased a new car and forgot to tell their insurance company, let an excluded driver operate their vehicle, never purchased insurance in the first place, unauthorized use of the vehicle, and many other reasons . . . It is estimated that there are between 14-15% of all Texas drivers who do not have insurance coverage while driving. Additionally, if you include those people who DO have insurance coverage, but who are violating the terms of their insurance by missing a premium payment, committing an intentional act such as road rage and hitting another vehicle, forgetting to add a person or vehicle to their policy, allowing an excluded driver to operate their vehicle . . . the percentage of accidents where the other driver has no insurance that will cover the accident likely is closer to 15-20% of drivers. This is especially distressing where you have been injured by the accident in question. You need to have uninsured motorist coverage. You do not know if the person who hits you will have insurance, or proper coverage, that will cover your claims. Contact your auto insurance company and verify that you have this important coverage. If you do not have it, ask to add the coverage. One type of insurance that covers "you" that is important is Uninsured Motorist Insurance - both for bodily injury and property damage. Typically the limits are similar to what your liability limits are. Hit & Run: If someone smashes your car in the parking lot and leaves without giving their information, your uninsured motorist property damage coverage will pay for the damage to your vehicle. If someone collides into your automobile while it is occupied and causes injury to the occupants, and then that person flees the scene - your uninsured motorist bodily injury coverage will stand in the place of the hit and run driver (note: in a hit and run - you MUST make a report of the hit and run to the police in order to use your uninsured motorist coverage). When purchasing your liability insurance policy for your automobile, your insurer is required to offer you uninsured motorist insurance coverage. In fact, if your insurance company claims that you do not have uninsured motorist coverage, they must have a copy of your signed written rejection of the uninsured motorist insurance showing that they offered you the coverage, but that you rejected it. If they cannot come up with a copy of the signed written rejection, then you have uninsured motorist insurance (at the minimum limits), even though you never paid for the coverage. This is very similar to the Personal Injury Protection (PIP) portion of your insurance policy - where a signed written rejection is required as well for there to be no coverage. If you are making a claim for uninsured motorist insurance, and the at fault party is "unknown", there must be "actual physical contact" in order to collect on your uninsured motorist coverage. This comes into play when a vehicle cuts you off, you swerve to avoid, but run into something else in your attempt to avoid the other driver (avoiding contact with the unknown driver). In this case, if you cannot get the identity of the person who caused the collision in the first place, you cannot collect uninsured motorist insurance. Your insurer is required to offer you at least the minimum limits of liability in uninsured motorist insurance coverage for personal injury claims, but cannot increase your limits in uninsured motorist insurance to an amount greater than your liability limits under the liability portion of your auto insurance policy. For property damage claims made for uninsured motorist insurance, there is a $250 deductible. The insured is able to choose which coverage it wishes to use for their property damage. For instance, if you have collision coverage with a $500 deductible, and you have uninsured motorist coverage with a $250 deductible, you are able to use your uninsured motorist coverage. On the other hand, if your collision coverage has a $100 deductible, you would likely choose to use your collision coverage to use instead, which is permissible. If there is a question regarding whether the other driver is uninsured or not, the insurance company has the burden of proof to prove that the other driver has insurance coverage. If the insurance company cannot prove the other driver has insurance, then you are able to make an uninsured motorist insurance claim. If the other driver causes a collision, but does not have enough insurance to pay for all the medical bills, or other damage that he causes to you - then you can make a claim for "Underinsured" Motorist Coverage for the amount that the other driver was underinsured. For instance, if your claim is worth exactly $40,000.00 (hypothetically speaking), and everyone agrees that this is the amount your claim is worth, and you make your claim against the other person's insurance - if they only have $30,000.00 in coverage, then that is all they will pay you. They won't pay more than the coverage that has been purchased. If you have Underinsured Motorist Coverage - it will cover the other $10,000.00 you were shorted by the other driver being underinsured. Approximately 15-20% of drivers out on the road in Texas do not have auto insurance coverage for one reason or another (never bought it in the first place, missed a payment, driving a car they purchased but forgot to add to their auto policy, allowing a driver who has been excluded from the auto policy to drive the vehicle). You MUST have Uninsured/Underinsured motorist coverage on your auto insurance policy if you have an automobile accident with one of these motorists. This coverage is designed to take the place of the uninsured/underinsured motorist's coverage if they had no insurance coverage. Like Personal Injury Protection, auto insurance companies are required to offer you this coverage. If you have been involved in an auto accident involving injury, you will have different types of insurance coverage that may or may not apply to your case. One of the reasons you need a Dallas auto accident lawyer is because you need someone who is an expert on how these coverages work, and when to make the claims, and how to make the claims so that you don't mess up your coverage, and recover the full amount of your claim. These are TWO distinct and different types of insurance. a) Uninsured Motorist Coverage: Is designed to take the place of someone who has absolutely no insurance coverage and was at fault in the automobile accident. b) Underinsured Motorist Coverage: Is for situations where the other driver has insurance, but doesn't have enough coverage to pay for the entire claim. 1) Takes the place of the uninsured motorists coverage that they should have had. It is intended to place the insured person in the same position as if the uninsured person had been properly insured. 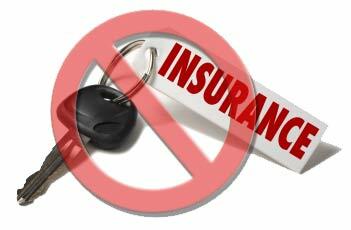 2) Texas requires that Uninsured Motorist Coverage be offered when purchasing an automobile insurance policy. If there is no coverage, there must be a signed, written rejection of the coverage. The Texas Legislature required that this be offered to protect people from financial loss caused by irresponsible motorists - those who didn't carry insurance. We will pay damages which a covered person is legally entitled to recover from the owner or operator of an uninsured motor vehicle because of bodily injury sustained by a covered person, or property damage, caused by an accident. 1) You or any family member; (most courts have defined this as immediate family members - or living in the household with you - even if inside someone else's car). 2) Any other person occupying your covered auto; (so if you have a friend riding in YOUR car and are hit by an uninsured motorist). 3) Any person for damages that person is entitled to recover because of bodily injury to which this coverage applies sustained by a person described above. b) Any property owned by a person listed in the "Covered Person" section; (You, your immediate family members, anyone else listed on the policy). c) Any property owned by you or any family member while contained in any auto not owned, but being operated, by you or any family member. (Such as if you were riding in someone else's car and you had your laptop computer with you, and it was destroyed). No deductible. Will cover up to the limits of the insurance policy for an injury to a covered person (whatever coverage you have purchased for Uninsured Motorist Coverage). Is a motor vehicle used on the land, or a trailer of any type, which has no liability bond or insurance at the time of the accident, or in which there is a hit and run accident and the operator or owner can't be identified, that hits you, a family member, a vehicle you or a family member are in, your covered auto, or in which the insurance company had coverage - but later denied coverage for some reason or becomes insolvent. 1) Actual Physical Contact: is required between your vehicle and some other vehicle (so if you swerve to avoid someone, then run into a pole, and you never make contact with any other vehicle, and the person who caused you to have to swerve drives away, this is not covered under the Uninsured Motorist Coverage). 2) Police Report: Most insurance policies require that you report your hit and run accident to the police in order for there to be Uninsured Motorist Coverage for a hit and run. 1) If injury is to you or your family members have a vehicle that you or they own, or use on a regular basis, but have not let the insurance company know about that vehicle, and you are injured while in that vehicle, they will not cover the loss (because they would have charged more or different premiums for that additional vehicle). 2) If injury is to you and you are hit by a governmental vehicle - even if that vehicle has immunity from suit (meaning you can't recover from them due to law), you still cannot recover on your uninsured motorist coverage, because the government is not considered uninsured. 3) If injury is to you and you are hit by something operating on rails (like a train), or crawler treads (like a construction backhoe). 4) If injury is to you are hit by something designed mainly for off road use, and the accident occurs off road. (like an 3 or 4 wheeler ATV hitting you or your vehicle while you are on the beach). 5) If your injury is caused by a vehicle that is designed to be a residence (such as a trailer home), while it is located or used as a trailer home (in other words, while it is in the trailer park and not being driven around - and if something fell off the trailer home and injured you, you could not file an uninsured motorist claim because it was not being driven and was being used as a residence at the time of the injury). 6) If your injury occurs while you are driving your vehicle for a fee (such as using it as a taxi, or renting it out to someone to use). The insurance companies don't want to cover your "work" - as this coverage is designed for a personal policy (not a work policy). 7) If an injury occurs when a person takes the vehicle without permission. So if your vehicle is stolen, and the person who steals it is involved in an accident, they cannot use your uninsured motorist coverage if the other person caused the accident. 8) If an injury or accident occurs due to an intentional act. If someone intentionally slams their car into yours, then there is no uninsured motorist coverage (this makes more sense if you consider that all liability insurance policies don't cover intentional acts, so since an uninsured motorist policy is intended to take the place of a liability policy, then why would it provide coverage when if the liability insurance had been there, it would not have covered either. The insurance company is allowed to "offset" the amount of their offer for your Uninsured Motorist Bodily Injury settlement by the amount already paid under Personal Injury Protection, unless the claim is worth more than the Uninsured Motorist Bodily Injury coverage that is available. For example: If you have $30,000.00 in coverage, and your total claim is worth $15,000.00, and the insurance company already paid you $2500 under PIP, then they will owe an additional $12,500 after applying the PIP offset. On the other hand, if you have $30,000 in coverage, and your claim is worth $35,000, and your insurance has already paid you $2500 in PIP, then you get the full $30,000 in Uninsured Motorist Bodily Injury coverage without any offset, because to allow an offset would be unfair since you paid for both coverages, and your claim was worth more than both combined (in other words there is no "double recovery" in this situation). Other Uninsured Motorist Coverage: If you have two Uninsured Motorist Coverage policies that will cover you (if you were a passenger in your friend's car, then your friend's uninsured motorist coverage would cover you, and your own uninsured motorist coverage on your own vehicle would cover you too). In that situation, the insurance policies state that they will pay their pro-rata share of the claim. You are entitle to make the claim against whichever policy you choose, but the insurance company typically will get the other insurance company to contribute a percentage based on the size of the policies available (on a pro-rata share). You don't get two recoveries in this situation, BUT you do have an additional insurance policy, which basically raises the amount of coverage available - in case your claim is worth even more than one of the uninsured motorist coverages. Is coverage for you if the person who hit you does not have enough coverage to pay for the full amount you are legally entitled to recover from the person causing the accident. 1) Amount Payable: The amount payable under Underinsured Motorist Coverage is up to the policy limits of the policy under Underinsured Motorist Coverage. 2) Permission to Settle: If you intend to use your Underinsured Motorist Coverage, then before you settle with the other person's insurance company, you are required to get the "permission" to settle from your Underinsured Motorist Insurance company. Theoretically, this is so they can run a check on the other side and ensure that they truly are underinsured, and that you haven't prejudiced any rights your insurance company may have to recover against other assets the underinsured motorist may have before you sign any releases that may restrict your insurance companies rights. If you have been injured by an uninsured motorist, or if you believe that your injury may entitle you to recover for your underinsured motorist coverage, you need to call the Law Office of Doug Goyen and speak to a Dallas auto accident lawyer regarding your case, and make sure your rights are protected, and you recover the full value of your case. We serve the following localities: Collin County including Allen, Frisco, McKinney, and Plano; Dallas County including Addison, Carrollton, Dallas, Garland, Grand Prairie, Irving, Mesquite, and Richardson; Denton County including Denton, Lewisville, and The Colony; Ellis County including Waxahachie; Kaufman County including Kaufman; Rockwall County including Rockwall; and Tarrant County including Arlington, Euless, and Fort Worth.